If you are planning to have a business of your own, a vending machine business must be on your list. Apart from being very easy to begin with, it has the ability to produce great source of income as well. In fact, the exciting part about engaging in a vending machine business is that it can give a nice return without exerting too much effort on your part. For young entrepreneurs, a vending business can provide you a chance to earn money while you are busy promoting your business, looking for new sites, or working on your regular job. This is the kind of business that is not demanding as it only needs a few hours of service and it should be supplied with saleable items. This business requires a small capital as you only have to buy a vending machine. You don’t need to spend for marketing or advertising cost, which most business owners today need in order to make their businesses productive and successful. This is so possible. Be the boss that everybody dreams of becoming. In this business, it will be you who will determine the plan, and decide the kind of machine to purchase, among the various available choices such as candy dispenser, soda dispenser, toy dispenser, etc. This business can serve to a lot people in just a matter of minutes. You need not employ someone to do customer servicing since you only have to refill and update the machine even on a weekly basis. Also, it will only take a push on the button to serve tea, coffee, cold drinks, biscuits, cookies, and many other consumables. 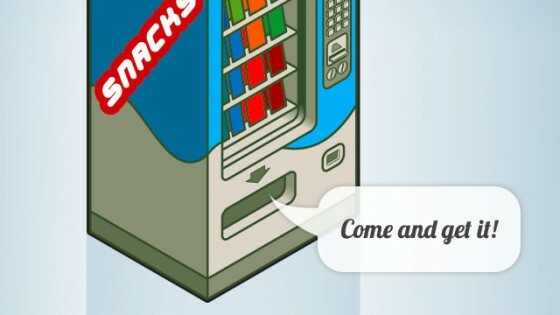 If your business is found in strategic places that are ideal for your vending machine, like a tea or coffee machine placed in an office establishment, sandwich or cracker vending machine in a school, your business will surely earn a lot day after day. There are lots of options in this kind of business that can able you to get the ideal vending machine business for yourself. You can obtain a tabletop machine to minimize a space or a huge machine so you can offer different items. In addition, this business can provide a wide array of products that can be sold such as beverages, fruits, cigarettes, drinks and a lot more. No past business experience is absolutely one of the important benefits of having a vending business. You only have to be knowledgeable on how to operate the machine and your business is good to go. Lastly, while this business is starting to generate more money, you can start setting for other goals and still be the boss of yourself. You can look for a part-time job, or maintain your regular job. A vending business can surely lead you to the right track especially if you have the proper attitude towards attaining success. Victor McNamara works at Vending World. Vending World is a leading distributor of used vending machines. They have been selling vending machines since 1968 and can fill almost all of your general vending machine needs.